The MDA/ALS Center of Hope at Temple University Lewis Katz School of Medicine is a pioneer of the multidisciplinary approach, in which professionals from many disciplines coordinate to provide an integrated care plan for each individual. Read more about the role of each specialty and meet our clinic staff below! The medical staff consists of neurologists who are experts in the field of neuromuscular diseases. Their first goal is to determine the diagnosis of amyotrophic lateral sclerosis. This will be done by performing a throrough neurological exam, requesting a variety of diagnostic tests, and reviewing your clinical history. During your visits, they will respond to your questions, provide symptomatic treatments, discuss clinical trials, and communicate with the other team members to ensure all recommendations are being incorporated into the treatment plan. 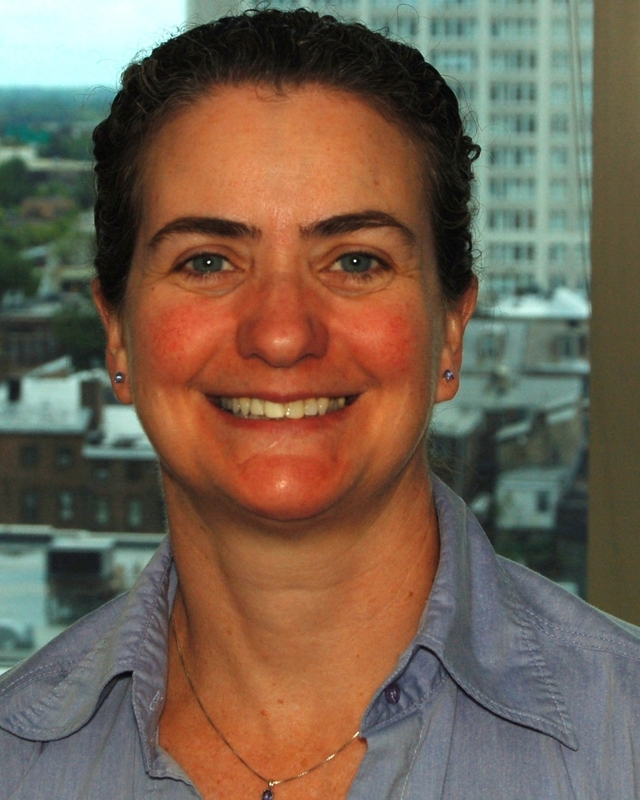 After completing a six-year BS/MD program from Rensselaer Polytechnic Institute and Albany Medical College, Dr. Heiman-Patterson received her residency training in Neurology from Albany Medical College and was awarded a Muscular Dystrophy Association (MDA) clinical and research postdoctoral fellowship in Neuromuscular Diseases at the University of Pennsylvania. She started her medical practice at Hahnemann University in 1982 and became the first Medical Director of the MDA Clinic at Good Shepherd Rehabilitation Hospital in Allentown, PA, where she continues today as Medical Director. In 1984, she founded and was Co-Director of the ALS Center at Hahnemann University, one of the first multidisciplinary ALS clinics in the country and the standard of excellence against which ALS clinics are judged today. This was one of the first ALS clinic officially certified by a national organization (ALS Association) and remains a leader in the field. After serving as an Associate Professor of Neurology at Thomas Jefferson University from 1988-1996, she moved to Hahnemann University/Drexel University College of Medicine. In December 2016, the clinic relocated to Temple University Lewis Katz School of Medicine and Dr. Heiman-Patterson continues to be at the forefront of multi-disciplinary care. Dr. Heiman-Patterson has conducted over 24 clinical trials in ALS, helped to establish the standard of care in noninvasive ventilation of ALS patients, and has received several grants to study the cause of ALS in animal models of motor neuron disease. She has authored over 50 papers, abstracts, and correspondence on motor neuron diseases. She is a member of the Northeast ALS Consortium of researchers and physicians (NEALS), and leads the biorepository subcommittee. In 2014, she was elected the Co-Chair of the NEALS Executive Committee. Dr. Heiman-Patterson served on the Medical Advisory Boards of the Myasthenia Gravis Foundation, the Philadelphia Chapter of the ALS Association, and the National ALS C.A.R.E. Program. In 2000, the Muscular Dystrophy Association honored Dr. Heiman-Patterson with the Lou Gehrig Memorial Award for outstanding service as a clinician and researcher on ALS. In 1999, Dr. Heiman-Patterson helped co-found the ALS Hope Foundation and currently serves as President of the Board. Anahita Deboo, MD completed an internship in internal medicine and a residency in neurology before her fellowship in neuromuscular disease, specializing in electrodiagnostics, at the University of Pennsylvania. Today, Dr. Deboo is Co-Director of the MDA/ALS Center of Hope and an Assistant Professor of Neurology at the Temple University School of Medicine. She is also part of the EMG Laboratory at Temple Hospital. Dr. Justin Kwan is originally from Brooklyn, grew up in NYC, and received his medical degree at State University of New York at Buffalo. He completed his residency training in Neurology and fellowship training in Neuromuscular Diseases at Baylor College of Medicine in Houston, Texas. After completing his training, he joined the faculty at Baylor and became the Co-Director of the Baylor ALS Clinic. During his residency, he took care of and treated many people with ALS (PALS); as a Neuromuscular specialist, he was very fortunate to have the opportunity to help lead an ALS Center. He was drawn to the field of ALS because he found the biology of motor neuron disease to be fascinating and challenging, and the PALS were some of the nicest people whom he had ever met. Even early on in his career, he felt that PALS were extraordinarily brave and their families were amazing and resilient individuals. He left Baylor in 2008 and accepted a research fellowship at NIH. The focus of his research was to use MR imaging to find markers of cortical motor neuron degeneration in ALS and primary lateral sclerosis (PLS). In 2012, he joined the faculty in the Department of Neurology at University of Maryland and was the ALS Clinic Director for the University of Maryland's multidisciplinary ALS Clinic. During the past 5 years, he has continued to provide care for PALS and participated in several clinical and basic research studies, mostly in ALS. He joined the team here at Temple University in November 2017 and is excited to be a member of a team "that shares the same passion for caring for PALS" that he does. Gary is the Head of Clinical Development for Alzheimer’s disease and Neurology at Janssen R&D (Johnson & Johnson). Prior to his present appointment, Gary held other leadership positions at Janssen, including head of the neuroscience biomarkers, and head of early clinical development. Gary received his Ph.D. in Molecular Neurobiology from the Rockefeller University, and his M.D. from the Johns Hopkins University School of Medicine. He completed his post-graduate training in neurology and neuromuscular disease at the University of Pennsylvania. He was a Phi Beta Kappa graduate of Trinity College, Hartford and is the author of numerous refereed articles and textbook chapters. He currently holds an adjunct faculty position in the department of Neurology at Temple University School of Medicine in Philadelphia, is an industry co-leader of the European Prevention of Alzheimer’s disease research initiative, and was the industry co-chair of the Coalition Against Major Diseases from 2011-13. Gary is a Board Member of the ALS Hope Foundation and Alpine Home Care. The role of the Mental Health Specialist is to provide counseling to you and your family. She is also available to other healthcare providers as a consultant on the psycho-social dynamics of ALS and can recommend strategies for the identified concerns. She works to develop and initiate special programs and groups to educate and support families. Finally, the Mental Health Specialist is involved in research investigating the psychological and social effects of ALS on individuals and families, which helps the medical community at large to better understand the emotional challenges of the illness and develop new approaches to care. Mary Paolone, MSRN is the Clinical Nurse Counselor and has worked at the MDA/ALS Center of Hope since 2005. She graduated with a Bachelor of Nursing Degree from Villanova University in 1994, and has been focused in chronic pain and chronic illness for most of her career. While working with these populations, she gained a desire to assist others more deeply as they move along the spectrum of their diseases. Mary continued her education with a Master’s Degree in Counseling Psychology from Chestnut Hill College which has enabled her to remain present and supportive with her patients during difficult times. She states that her “life has been greatly enriched by her work at the Center of Hope” and considers it a blessing and an honor to help in any way she is able. The Occupational Therapist is concerned with ensuring you remain as independent and safe as possible while performing your activities of daily living. He will evaluate your arm strength and your ability to use your hands. His recommendations will then be made based on his findings and the information you provide. You will be instructed on exercises to do to help maintain flexibility and range of motion. He will often recommend adaptive devices or techniques to help you continue to do the activities you enjoy. Mark Goren, MS, OTR/L graduated from Temple University’s School of Occupational Therapy with a Master of Science degree in 1995. He did his clinical fieldwork at Thomas Jefferson University Hospital in Philadelphia. His past experience includes working at Bryn Mawr Rehab and Hahnemann University Hospital. Mark has been the senior occupational therapist with the MDA/ALS Center of Hope for over fifteen years. Other areas of interest include hand therapy, assistive technology and research and he has earned the specialty designation of Certified Hand Therapist. The Physical Therapist will see you at each visit for ongoing evaluation of your strength and mobility. She will address moving in bed, getting in and out of chairs, walking, or using a walker or wheelchair. Two of the main areas that will be addressed are exercise and equipment. Exercise guidelines based on your strength and energy level will be made. Stretching exercises will be encouraged to help maintain your flexibility and decrease muscle cramping. Equipment recommendations will be made to help in maintaining mobility and independence. They may include a MAFO (molded ankle foot orthosic), an assistive device for walking, a wheelchair, or other items for use during transfers. The main goal of the Physical Therapist is to keep you at your highest level of functioning for as long as possible. Recommendations will be made to ensure your safety and independence. Sara Feldman, PT, DPT, ATP has been the Physical Therapist at the center since 1994. She received her Bachelors in Physical Therapy in 1987 from Temple University, her Masters in Environmental Science from the University of Pennsylvania in 1997, and her Doctorate in Physical Therapy from Drexel University in 2012. Prior to coming to Temple, she was a Senior Physical Therapist on the Spinal Cord Injury team at Magee Rehabilitation Hospital. She moved to Hahnemann Hospital to be on the acute neurotrauma and neurology teams. Sara works full time for the MDA/ALS Center of Hope and in addition to clinical care she is involved in clinical trials and the use of assistive technology. Sara is co-chair of the NEALS Physical Therapy Committee along with Peggy Allred, PT, DPT from Cedars-Sinai Medical Center in Los Angeles. She served as the Clinical Evaluator representative on the NEALS Executive Committee from 2013 to 2018. In 2013 she was elected to the Board of Directors of the International Alliance of ALS/MND Associations. She looks forward to the day there is a cure for ALS! The Speech Language Pathologist will monitor any difficulty you are having speaking or swallowing. She will assess your ability to communicate effectively and make recommendations to address communication deficits if necessary. These recommendations may include assistive devices or alternate means of communicating. Possible swallowing problems will be discussed as well as the anatomy and physiology of the swallowing process. Suggestions will be given for diet modifications and safe swallowing techniques as needed. Donna Harris, MA, CCC is a licensed and certified speech language pathologist and has been involved with the MDA/ALS Center of Hope since 2000. She received her Masters from Temple University in 1991. Donna has worked in a variety of settings, including special needs classrooms, acute care hospitals, and rehab centers. Donna is committed to the ALS cause and loves working with each and every family. The Dietitian/Nutritionist will meet with you to discuss your weight and nutritional status. One of her primary considerations will be to ensure you are maintaining safe and adequate nutrition and hydration. Her evaluation will begin with a nutritional assessment which includes changes in body weight, current nutritional status, and present intake. Suggestions on dietary changes, recommendations on alternate routes of feeding, and education on tube feedings will be given as needed. It is her goal to assist you in preventing nutritional deficits while maintaining your quality of life. Michelle is originally from Scranton, Pennsylvania. She graduated from Marywood University in Scranton, PA with a Bachelor’s Degree in Nutrition/Dietetics. After moving to Philadelphia, she started her career at Temple’s Northeastern Hospital and transitioned to Temple University Hospital in 2009. Throughout her career, she has worked with a variety of patients with many different nutritional requirements. She has recently joined the MDA/ALS Center of Hope team, and enjoys working with people diagnosed with ALS and their families in setting and achieving their nutritional goals. The Clinical Nurse Coordinator will help to ensure that your questions and needs are addressed during your visit to the center. She will assess your general medical status and take your vital signs. The Clinical Nurse Coordinator is also available in the office every day to assist with questions, medical renewals, problems, or concerns you may have between appointments. In addition, she is involved in the current clinical trials and is available if you would like to discuss or participate in any of the center's ongoing trials. Kristine (Kris) graduated with a Bachelor of Science in Nursing from University of South Carolina in 1992. She spent the first part of her nursing career throughout the intensive care units at Hahnemann Hospital. She transitioned to home care in 2005 and found a new passion in palliative and hospice care. Kristine has spent the last 9 years in management of hospice clinical teams in both NJ and PA.
Kris hopes to bring her knowledge and understanding of palliative care to our clinic and help patients and families navigate the disease process and their lives with compassion and dignity. She is looking forward to meeting you all at clinic and feels privileged to be joining such a wonderful team at the MDA/ALS Center of Hope! The Patient Services Coordinator is here to assist you in navigating the way through different agencies and your insurance company. She can act as a liaison between you and your insurance company or case manager. She will work with you and your insurance agency to help you obtain services or medical equipment ordered by the physician. She can also help you with understanding and completing the many forms and paperwork you will encounter. These may include letters of medical necessity, short- and long-term disability forms, and transportation needs. The Patient Services Coordinator's purpose is to advocate on your behalf to assist you in meeting your medical and insurance needs. Latoya Weaver, PSC, received a certification in medical billing and coding from CHI. Prior to joining the MDA/ALS Center of Hope, she had the experience of caring for her mother, who lived with ALS for over six years. Latoya has first-hand knowledge of the challenges that patients and families go through when dealing with ALS and is willing to work as earnestly and passionately for the people we see as she did for her own mother. She is incredibly motivated and passionate about helping others. There are several ongoing clinical studies at the center. The clinical research staff is available to disseminate information about these current ALS studies and provide further information to interested individuals. They will screen prospective participants, conduct the study sessions with those individuals who meet the criteria, organize data and medical records, and attend conferences with other research staff throughout the country as indicated. Theresa earned her Bachelor of Science in Nursing from Immaculata University and her RN from Frankford Hospital School of Nursing. She started her career in critical care nursing at Frankford, and then moved to St. Mary’s where she eventually transitioned to case management/discharge planning before finding us at the MDA/ALS Center of Hope. Theresa’s passion for patient advocacy stems from her personal experience with a chronically ill family member and how one nurse made a difference. It led her to pursue a nursing career and pushes her to be that “one nurse” to people that she cares for. She brings that passion to her new role and remarked that she is in awe of the strength of the people living with ALS and the families she has met so far. Kathleen Hatala, RN, BSN, graduated from Holy Family College in 1987, and brings her experience of working in neuro-intensive care to the team. She has been a Clinical Research Nurse at Temple University since 2001 and is passionate about ensuring the research and the people volunteering to be involved are both taken care of. Her compassion shows in all of her interactions.